MARCH is a wonderful month to experience captivating early summer heat and the sunshine. And this time, I really wanted to visit nearby places in Pune which should be one day return and prominent. One of my friends recently visited Bhaja and Karla Caves, located in Pune, near Lonavala, Maharashtra. If you love history, architecture and art then the Bhaja and Karla Caves are the perfect examples. It’s a must visit historical places near Pune and Mumbai. The places are easily accessible from both the cities. Malavli is the local rail station; also, both Mumbai and Pune are important railheads near Karla. Karla and Bhaja Caves are the Buddhist style rock-cut architecture caves dating back to the 2nd century BC. The caves have a number of notable Stupas, the most stupendous excavation is its Chaitya (hall), and it is the largest Chaityagriha among Buddhist cave in the country. The most remarkable peculiarity is its arched roof carried by wooden pillars which are surprisingly outlasted the invasion of parts for more than 2,000 years. I am definitely sure the Wooden Umbrella above the hall is out of the ordinary in the Buddhist caves throughout the world. Still I didn’t notice the sign of any decay. I saw some carvings showcases a woman playing Tabla and another woman, performing the dance, proving that Tabla – was used in India for at least two thousand years. 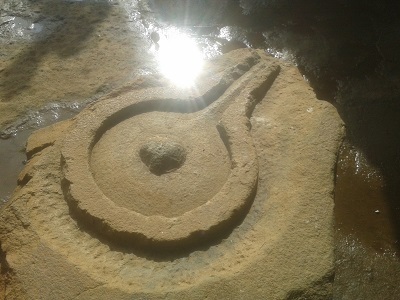 The caves have many Chaityas and Viharas all around. These Vihargriha are the areas where the monks used to meditate and stay in the caverns for a long time span. I loved the large windowpanes carved out on the walls of the caves for the illuminating purpose. 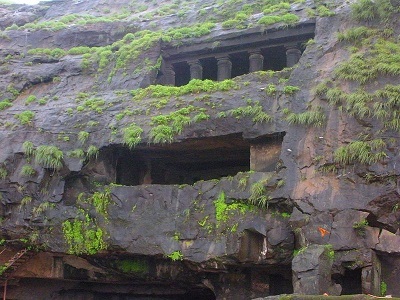 To reach Bhaja Caves you have to climb more than 150 steps from Bhaje village take you up on the hill to the caves. The steps were built in the identical period moreover carved in rock. The Chaitya of the Karla Cave is known as the Great Chaitya in one of the magnificent monuments in the world of art. Other than architectural spots, here you can do trekking to the Lohgad Fort and Visapur Fort. The Karla and Bhaja Caves are also best for school trips. Besides, here you will observe stunning waterfall – few minutes’ walk past the last cave during the monsoon has enough water for a good swim. There are many places where families or group of friends reserve an open space, cook and experience camping in nature. Spends relax time with loved ones. History lovers go for Bhaja Karla Caves and Feel the greatness of Historical Architecture!